Creating a personal canvas print is easy. Just upload your photo or illustration, choose the size of the canvas print, decide on the edge of the frame and then add to your basket. OncRead moree your order is placed, we’ll print your canvas and ship it within 1–2 days with free UK delivery. You can print whatever image you want as long as the resolution is high enough. All images, whether they are photos or illustrations, must have at least one pixel per millimetre of the canvas print. 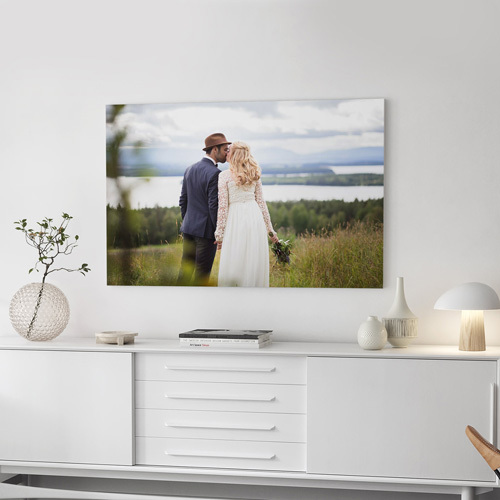 This means that you need to upload an image that is at least 600 x 600 pixels in any image file format to create a canvas print that is 60 x 60 cm. Contact us if you are unsure about the quality or size of your image and we’ll be happy to assist you at no additional charge. You can order a canvas print from your image with or without a frame. Even if you choose the frame option, it will be sent to you unassembled to avoid damage in transit, but everything you need to assemble your canvas print is included in the packaging. The included assembly instructions will show you how to easily assemble the canvas print step by step. The price of your canvas print depends on what size you want and if you order it with or without a frame. Enter your measurements below to see the total amount. Choose one of our products or upload your own image to submit an enquiry. Our prints are tailor-made to your specific measurements. Our frame is available in sizes ranging from 40 cm to 150 cm at 10 cm intervals. If you only want to order the canvas, you can order in sizes from 20 cm up to 150 cm on one side and 600 cm on the other side. 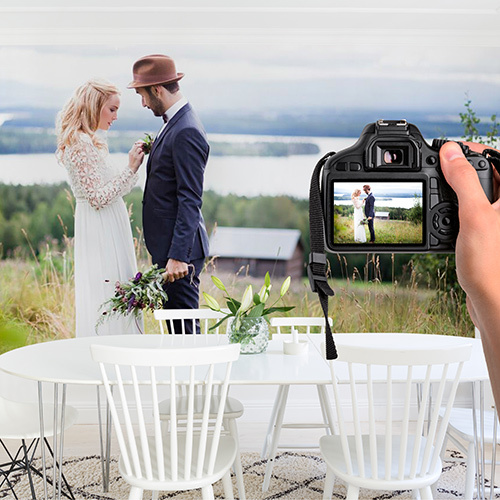 When uploading your image, we recommend that the image should have at least one pixel per milimeter of the print. Our frame is a 30-mm wooden frame that you assemble yourself. See our assembly instructions to assemble your print and don’t forget to check out our helpful assembly video. Can I have some help with my image and how long will it take until I receive a reply?